I want to apologize to Schools Matter readers for my infrequent contributions. I thought once I graduated from law school and passed the most difficult bar examination in the country on my first attempt, that I'd have more time to write. Instead, in addition to my long-time day job, I now have an internship once a week at an education law firm, and I am teaching on Thursday nights at my law school. In a word — I'm swamped. However, I managed to piece together this twitter thread on Monday, that I thought was worth reposting here. Researching for a case and came across a personal injury settlement between a charter school corporation in the Central Valley and multiple student plaintiffs for some $6-million+. The amount is on the low side considering the horrific injuries some of the students suffered. 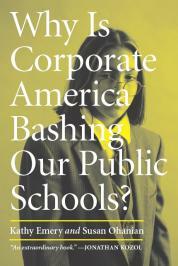 It was the typical charter school money-making scam. They had a former employee form an unregistered and uninsured transportation company. The charter's Vice Principle provided one of their family's vehicles to that company. They paid themselves $6K a month from public money to operate a vehicle that had several defective seatbelts. Moreover, they consistently exceeded the vehicle's passenger capacity. Students had to share seats and some had to ride on the floor. Struck by another vehicle traveling at high speed, the charter corporation's vehicle rolled multiple times and ejected several of the unrestrained students. The injuries were as bad as you could imagine them to be. This was the inevitable result of putting public money into private hands. Because charter school corporations are privately managed with de minimis oversight, transparency, and accountability, they find ways to channel public revenue streams into their pockets, all the while cutting corners on students. Here, that cost cutting had drastic consequences that altered the lives of several students whose injuries were severe. In this case it was a transportation company that the charter corporation created, but we've seen the same thing with Charter Management Organization real estate holding firms, and charter school side-companies like convicted felon and charter school mogul Refugio 'Ref' Rodriguez's Better 4 You Foods and Better 4 You Fundraising. "…generated 30% profit margins in subsequent years–with 20-30% lead generation and 20-50% close ratios." The examples of charter corporation greed and self-dealing keep increasing. It's the inevitable result of putting public money into private hands. The catastrophic fire at Notre Dame Cathedral and the collapse of its spire remind us of 9-11, and our grief is renewed. We all wondered as we watched: why can't something be done to stop the fire? Frustration, even anger, boiled up. So much lost. So much history, so much art, so much of the reality of the past going up in smoke. Tragic by any measure. Now we must ask the question: what if we could have prevented that fire? Would we have done so? A stupid question, you snort, of course we would have done whatever was required to save this giant piece of our civilization. And yet there is so much more of our civilization, our civilizations, that remain with us. Notre Dame, for all its grandeur, is a tiny thread in the vast tapestry of our collective cultures, histories, stories, lives. Now listen: there is fire coming. We know it is coming, and we know when it is coming. There is no doubt about its coming. The tapestry will be burned, along with wall upon which it hangs. And the building that supports that wall, along with the surrounding city and countryside. All of it. Now are you as sure that you would have acted to stop the burning of Notre Dame? Would you? Will you act to stop the burning of the world, all the art, the words, the works, the languages, the people and life itself? Notre Dame's burning--how sad, how tragic, and how small in comparison to the conflagration that has been planned by us. Do we really care? Will we take action before the we see the flames on the horizon? Will we? For there will be no rebuilding. NZ Privacy Commish: FB "morally bankrupt pathological liars"
New Zealand’s privacy commissioner is holding no punches in his criticism of Facebook in the wake of the deadly mosque shootings in Christchurch, part of which was livestreamed by the gunman on the social media platform. Facebook leaders “continue to host and publish the mosque attack video, allow advertisers to target ‘Jew haters’ and other hateful market segments, and refuse to accept any responsibility for any content or harm. They #DontGiveAZuck,” Edwards concluded in a jibe aimed at Facebook founder Mark Zuckerberg. After reading the Tennessean article “Large numbers of Tennessee students not ready for college, new state data show,” I was scratching my head and wondering why alarm bells are going off now about high numbers of high school graduates needing college remediation. 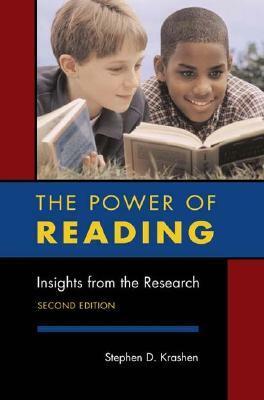 Especially so as we find out near the end of the article that college remediation rates have actually improved by 20 percentage points in the past five years. Furthermore, why would the executive director of the Tennessee Higher Education Commission, Mike Krause, be bad-mouthing teachers and the education colleges that prepare them, in light of these improvements in college readiness? Why wouldn’t a 20-percent improvement at least warrant a nod of approval for heading in the right direction? I am not suggesting that we ignore the fact that some schools across the state still have very high percentages of graduates needing college remediation in both reading and math. And we know those schools are in both rural and urban areas that are economically distressed. Whether Hardeman County in West Tennessee or Austin-East High School in Knoxville, we know that high remediation rates go hand in hand with high poverty rates. It is unfortunate that Krause and his chief ally in the state Senate, Republican Jon Lundberg, ignore the economic and educational disparities that are at the source of the remediation problem. Instead, they continue to blame the problem on educators and teacher educators whose life work is to help those struggling students whose disenfranchisement remains a principal predictor for their adult life outcomes. With teachers across the nation now finding public support for demanding the resources required to do their jobs professionally and to raise their families adequately, Krause’s blame game seems particularly out of step with the times. We will have to see if Tennesseans are as easily manipulated now as they have been in the past by efforts to deflect attention from generations of inadequate and inequitable education funding, while leaders seek to avoid political accountability for a never-ending array of failed education reform efforts that benefit big business interests over the needs of children. 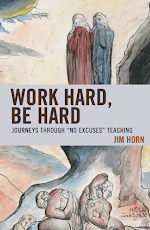 Jim Horn, Ph.D., is professor of educational leadership at Cambridge College in Cambridge, Massachusetts . . . . His most recent book is "Work Hard, Be Hard: Journeys Through ‘No Excuses’ Teaching." 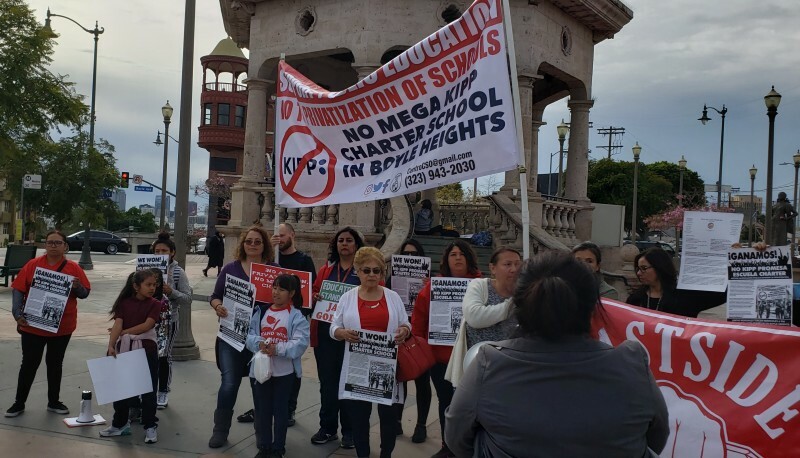 A new study published by USDOE puts into context much of the propaganda by KIPP and other charter chains related to the ostensible benefit of attending their corporate madrasas. A study from the National Center for Education Evaluation and Regional Assistance (NCEE) obtained college enrollment and completion data for students who — more than a decade ago — entered lotteries to be admitted to 31 charter middle schools across the United States. College outcomes were compared for 1,723 randomly selected "lottery winners" and 1,150 randomly selected "lottery losers". 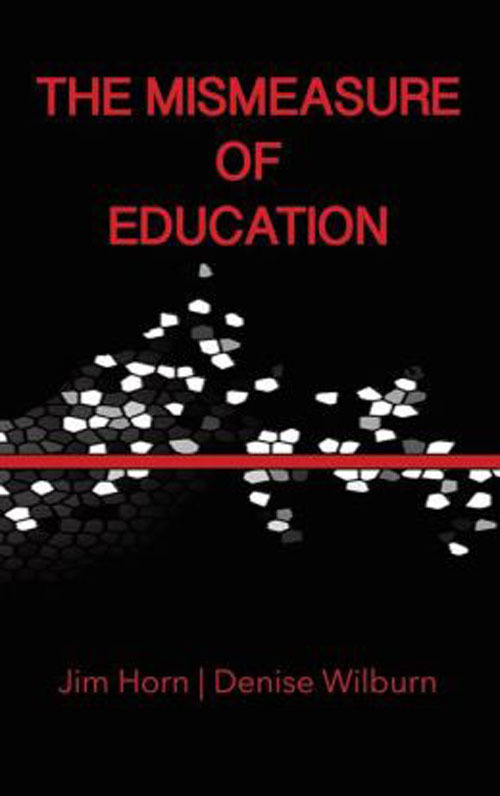 The study found that being admitted to a charter middle school did not affect college outcomes. Also, there was not a consistent relationship between a charter school's impact on middle school achievement and the school's impact on college outcomes. The brittle crone billionairess, Betsy Devos, went before a House committee this week to answer questions regarding her bullish support for a 12 percent cut to the federal education budget that has been proposed by the sado-conservatives now in charge at the White House. Included in the cuts are after-school programs and mental health services for America's poorest communities. Because the program previously have had so little money spread so thin, DeVos said, we may as well just kill the whole thing. After all, as Trumpian reason goes, if a most people are starving, we should go ahead and eliminate food for the ones that we're feeding. If you're still uncertain about where the Trump/Devos ed budget registers on the inhumanity meter, it also zeroes out federal funding for Special Olympics. All of it. By the way, the entire $17.5 million federal commitment to Special Olympics would pay for 5 Trump trips to Mar-a-Lago. We should prepare for more of this kind of brazen cruelty masked as fiscal responsibility. After all, this week, we saw, too, the opening salvos in a new war to be waged in the courts, this time, to take away health care away for millions of Americans and to allow insurance companies, once again, to make insurance unaffordable for those with pre-existing conditions. Does the Trump Party really believe that an effort to kill Obamacare will make its likely preservation the default choice among the populace, rather than the hugely popular option of Medicare-for-All? Probably. Meanwhile, the spiriting away of the Mueller Report by Trump's AG has left much of the Resistance in a stunned whimper. I am wondering when Barr's well-choreographed castration attempt will register among the vast majority of citizens who we might have been expected to be marching on the White House for a lesser crime against justice just a week ago. If you want a larger future that is not ruled by a smaller past, it's time to force all of that generalized disappointment and sadness into a righteous anger that the moral universe demands. The voting that culminates next year has to begin today. See below. Last night, in a stunning, reckless, and baseless two-sentence letter, the Trump administration’s Department of Justice announced it won’t defend any part of the Affordable Care Act (ACA). This is the Trump administration’s clearest attempt yet, not just to sabotage, but to completely annihilate the ACA -- and in doing so, unleash chaos on our health care system and on millions of Americans lives. → It would end required coverage of preventive care -- like cancer screenings, vaccines, birth control, blood pressure tests and more. Look, we know we don’t need to tell you what’s at stake -- you’ve been fighting this fight with us for the last two years. But, we’ve got three things we can do right now to beat back these latest Republican attempts to take away our healthcare, and we need your help. We’re making an urgent appeal to ensure our movement has everything it needs to respond in full force. So, if you’re ready to pitch in $5, $10, $25, or more to help fund this work, click here. Otherwise, read more about our plan below. So, what happens now? To be clear, the Affordable Care Act is still the law of the land. Republicans have tried repeatedly for 9 years to repeal, undermine, and sabotage the ACA, and this is just one more attempt at that. It was because of grassroots pressure that it exists today. What’s important to remember is that this fight is now in the courts -- and there are plenty of stakeholders ready to do the job that Trump’s DOJ won’t (check out our resource with more on the upcoming legal battle here). Pressure House Democrats to use their oversight and investigatory power to hold the Trump administration accountable for their sabotage. Call them and demand that they ask the tough questions -- ask them what they’re doing about Trump’s attack on our health care right now. Keep calling to get your members of Congress to commit to building on the success of the ACA and lay the groundwork for a single-payer system. Yes, ask your representatives to cosponsor Rep. Pramila Jayapal’s Medicare For All Act (we’ve got a call script! ), but go a step further. Demand your members of Congress lay the groundwork now for what comes next: that means holding hearings, hearing from experts, working through the policy debates, building consensus, and drafting legislation so that it’s ready when we take power. Your continued pressure can ensure that they do this. Organize, organize, organize to reverse the radical, conservative transformation of our judicial system (read: win in 2020). Right now, that means asking your senators to fight like hell to block additional Trump appointees to district and circuit courts. It also means knocking doors to take back power in the Senate and the White House to ensure that our district and federal courts are occupied by qualified judges dedicated to safeguarding our rights and promoting justice -- not advancing partisan political goals. The not-so-good news is that we’re working against the clock, and the administration isn’t showing any signs of slowing down. Your contribution can help us fight back. If you can pitch in $5, $10, $25, or more right now your dollars will go directly toward our efforts to ramp up this work. → Launching a $25,000 rapid response digital ads campaign to make more people aware of Trump’s latest attempts to destroy the ACA and mobilize more folks to take action and get involved on their home turf. → Rolling out a state-of-the-art membership management platform for Indivisible groups, allowing them to better engage with their members, organize their events, and build long-term power. → Putting the final touches on our new click to call tool to make it easier for people to get connected to their members of Congress and get the right information to make the most strategic ask with a single click of a button. → AND we’re planning major campaigns to double down on oversight efforts, protect communities under attack by the administration, and strengthen our democracy. Two years to the week after their unsuccessful first attempt at repealing the Affordable Care Act in the House, Trump and Republicans are still in relentless pursuit of your care. And they’ll do whatever it takes, no matter how lawless -- and no matter how many people it hurts. We. Will. Fight. Back. And we will win.